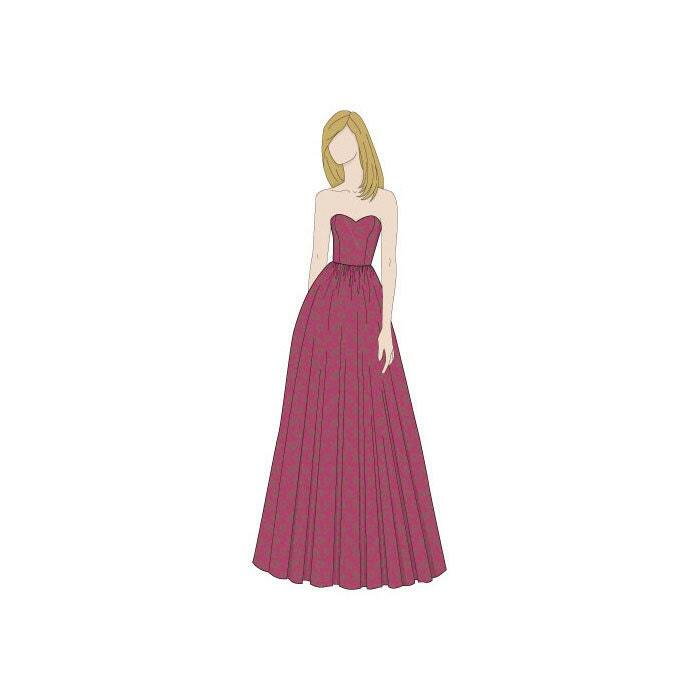 The dress has been designed to be a strapless full length evening dress/ball gown, ideal for a variety of functions. The bodice of the dress features a sweetheart neckline. The skirt is attached to the bodice at the waist and has a fully gathered skirt, full of volume. 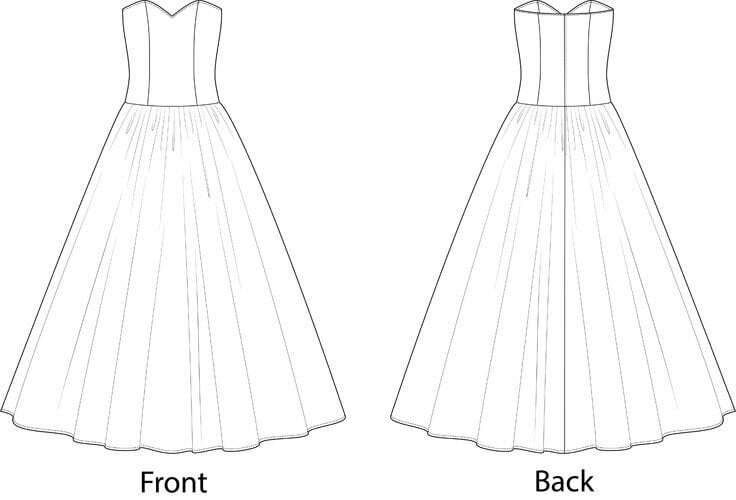 The entire dress has been designed with a lining, and the bodice will require interlining as well as lining, along with boning for additional support. The fullness of the skirt is accentuated with the use of the dress net ruffles, which are attached to the skirt lining. The back simply fastens with a zip and a hook and eye closure. This pattern will require a relatively good knowledge of sewing and an understanding of what pattern symbols mean (if you not sure please search on line for pattern symbols or refer to a good sewing book).